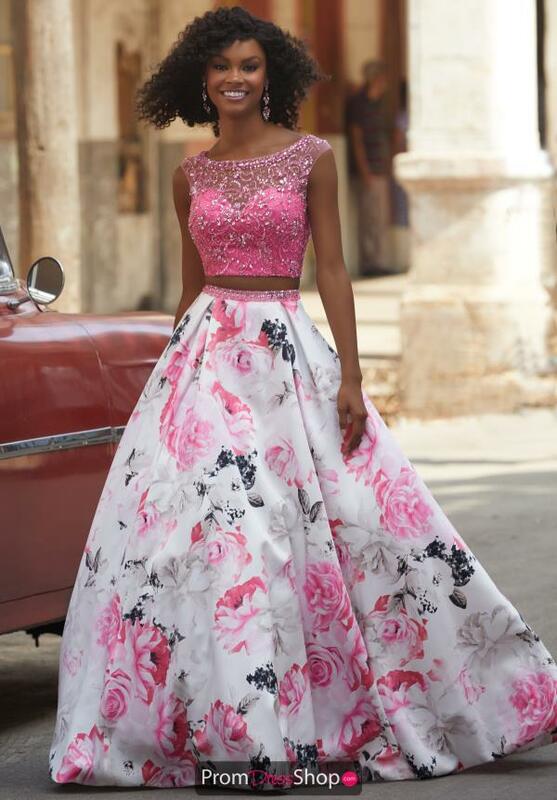 Charismatic and enchanting, this beautiful Morilee prom dress 42090 features a beaded crop top and printed a line skirt. Showcasing a illusion neckline, this lovely crop features classic cap sleeves that add a sense of comfort. The crop top is adorn in lovely lace, while shimmering beads add a pop of sparkle. Made in a fascinating floral print, the a line skirt glows with elegance and grace.